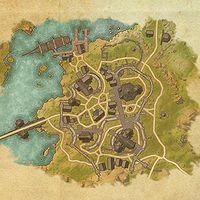 Evermore is a city in northwestern Bangkorai, just across the Stormhaven bridge. Evermore Objective: Defend the city against its enemies. A City in Black: Restore morale by bringing back a severed head. Imperial Infiltration: Help prevent an unwitting act of treason. Claim to Fame: Find out which Orcish clan deserves credit for the raids of the Torog's Spite Bandits. Conflicted Emotions: Help a mage deal with his emotions. Dark Wings: Convince a former Wyress to leave the city. A Grave Matter: Solve a riddle to gain access to an old raiders' lockbox. Leading the Stand: Head into Mournoth to halt the Reachman advance. 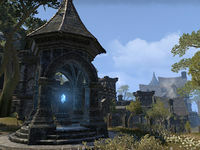 The Mad God's Bargain: Release Shalidor's sanctuary from Sheogorath's lingering hold. The Parley: Attend a parley with the Imperial Magus-General. Report to Evermore: Deliver a request for more soldiers for Bangkorai Garrison to the castle in Evermore. 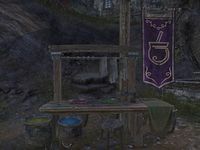 Troll's Dessert: Save a Bosmer from becoming a troll's supper. Evermore is the only major city with two wayshrines in close proximity. 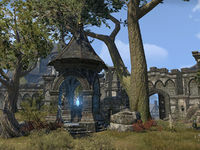 Evermore Wayshrine is unlocked as soon as you enter Bangkorai, and is located in the graveyard to the north of the city. 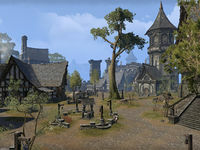 Eastern Evermore Wayshrine is found just outside the east gate, and is more conveniently located for the services within the city.